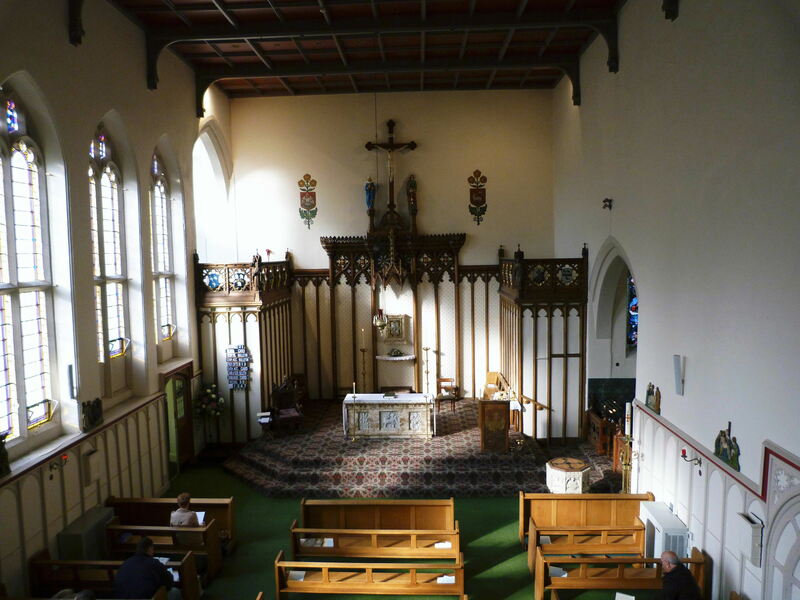 St Cuthbert’s Parish carries on the community of Catholics which has existed in Elvet since Anglo-Saxon times. The last Catholic Bishop of Durham, Cuthbert Tunstal, died in captivity in 1559 for refusing royal supremacy in religion. However there were many people in the area who remained attached to the old faith and loyal to the Pope; these Catholics were served secretly by priests ordained before the split with Rome. One such was Blessed Thomas Plumtree, who was hanged, drawn and quartered in the Market Place in 1570, after having said Mass in the Cathedral during the Northern Rising the previous year. These priests were succeeded by those trained in the new seminaries abroad, like the four caught just after their arrival and executed at Dryburn in 1590, and St John Boste in 1594 after more than 10 years work in the north. Some laymen were also executed for helping them, and many more, and their wives, were repeatedly fined or imprisoned for not attending Anglican Churches or refusing anti-papal oaths. Despite spells of more or less persecution, by the late 1650’s there were resident priests in Durham City, one in a house on this site (33 Old Elvet). There were also Jesuits in Durham: their chapel was destroyed by a mob at the revolution in 1688 against the Catholic King James II, in whose short reign Catholics had come into the open, with England divided into Vicariates with bishops. 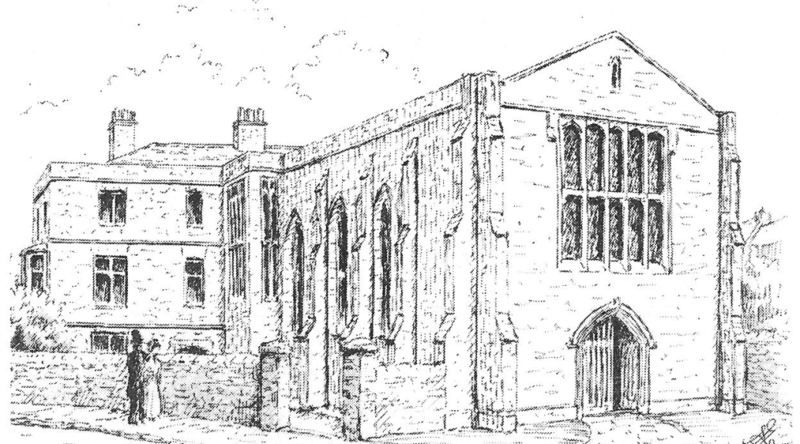 The Jesuits were subsequently at 44-45 Old Elvet, with their own congregation, and from the 1660’s to 1741 there was another mission in Gilesgate, supported by the Maire family there. Other Catholic gentry acquired or occupied property in much of Old Elvet, partly as cover for income to support the clergy, who had founded a “Northern Brethren Fund” which continues today. 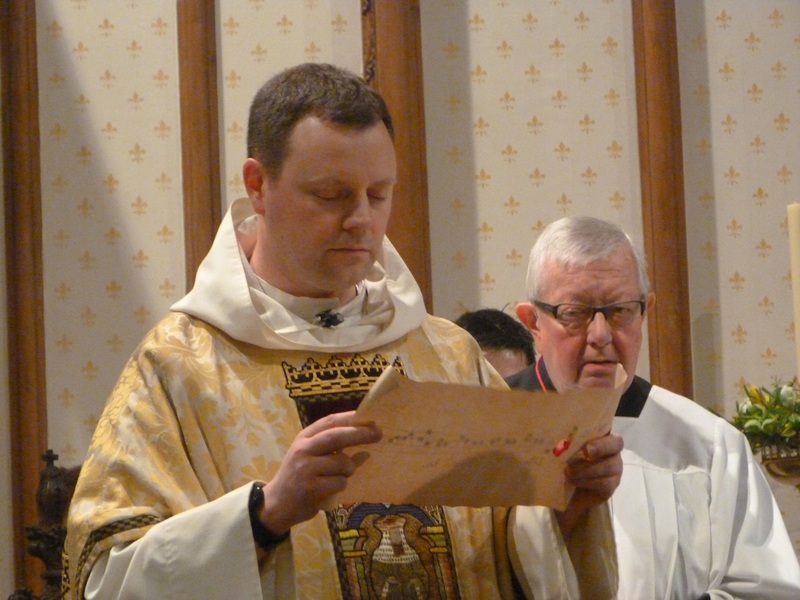 Endowed Masses are still celebrated at St Cuthbert’s for members of such families, most notably the Salvins of Croxdale, who have been there since the 15th century. The congregation also included medical men, tradespeople, craftsmen, labourers and farmers. Despite another attack on a priest’s house after the second Jacobite Rising in 1746, Catholic worship and clergy were increasingly tolerated during the 18th century. Nevertheless, it was only in 1778 that the severe legal penalties against priests were abolished, and in 1791 that public chapels were at last permitted. From 1795 to 1821 the Vicar Apostolic of the Northern District, Bishop William Gibson, lived at the Elvet Mission with Thomas Smith, his auxiliary and successor. In 1827 the new St Cuthbert’s church and presbytery (designed by Ignatius Bonomi) were opened, replacing the two Elvet Chapels. The Jesuits left shortly before the Catholic Emancipation Act of 1829 which restored most civil rights to Catholics. 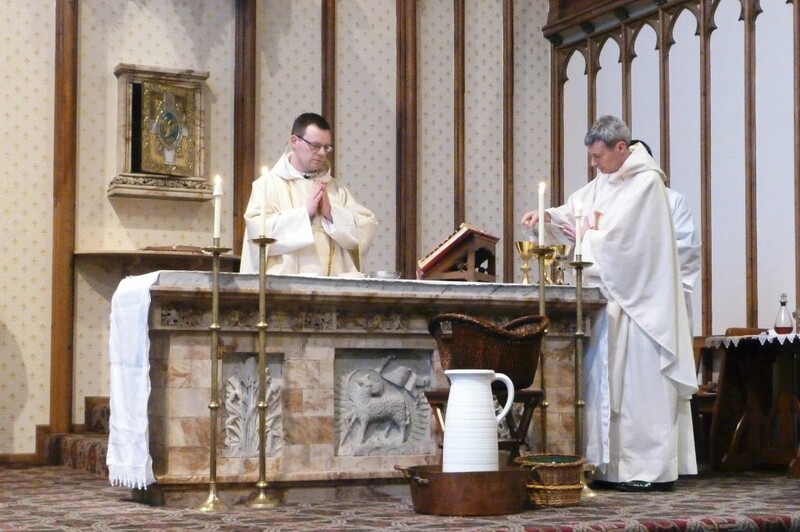 The tower was added to the church in 1869, and the building was finally consecrated on 20 July 1910 with the installation of a new marble altar (still used, though not in its original position) and altar rails with bronze gates (since removed). The large stained glass window of English saints by Harry Clarke was installed in 1931 as a memorial to Canon William Brown, curate and parish priest 1874-1924. The window depicts (clockwise from top left) St William of York, St Cuthbert (holding the head of St Oswald), Blessed Thomas Percy (leader in the Northern Rising) and St Bede the Venerable. The brilliant colours of the window with the smaller figures surrounding the protagonists, together with the brightly coloured flowers scattered around, give a jewel-like effect which is characteristic of Harry Clarke’s work. The small stained glass window (by Mike Davis) in the narthex is in memory of George and Agnes Finnigan and was installed in 1994. The window in the confessional is based on a design by Benedict Holmes realised in his memory in 1999 by Fenwick Lawson. Fenwick Lawson carved the new oak ambo (donated in memory of Kate Miller in 1995) and adjacent processional cross (in memory of Matthew Purvis). 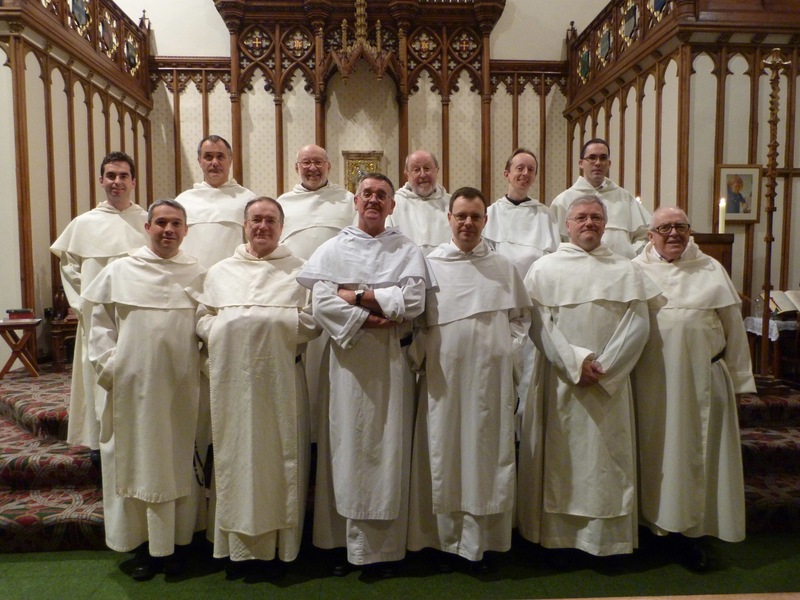 In September 2012, Bishop Séamus Cunningham entrusted the parish of St Cuthbert and the University Chaplaincy in Durham to the Order of Preachers, popularly known as the Dominican Friars. A small religious community served the parish and the Chaplaincy for 4 years, during which time we joined them in celebrating the 800th anniversary of the order. 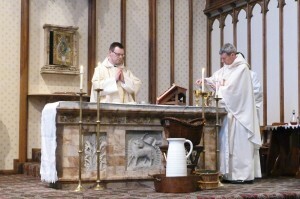 In 2016, the parish was returned to the care of the Diocese. In the windows of the doors of the sacristy, are two panels from the former parish school (behind 33 Old Elvet from 1864 to 1961) installed in 1999 in memory of Miss K. M. Scollen. More details of the history of the Catholic community in Elvet and St Cuthbert’s church can be found in J.M. Tweedy, Popish Elvet (1981), parts 1 and 2, on sale at the church.